August is the last of the great summer harvests! Just getting started in a new garden, or you just love to plant?! Summer plants you can still plant for early fall harvests are early maturing tomatoes, beans (bush beans are faster) and corn. Corn is more disease prone at this time though. Tuck in your year-round fillers, beets, bunch onions, carrots, summer lettuces, winter radish, to keep a colorful and delicious variety for your table. More about harvesting! Keep up with harvesting so plants don’t quit producing. As in July, keep up with watering out to that dripline, replenish mulch. Give your favorite late summer/fall heavy producers you are keeping a good feed to extend their harvests. Eggplants have a large or many fruit, beans put out a ton of beans, tomatoes are big and working hard, peppers can be profuse! They like a tad of chicken manures scratched in, bunny poop and straw (pick up at Animal Shelters), well aged horse manure and compost makes them dance with the faeries in the night time! Fertilizers highest in P, Phosphorus, keeps blooming and fruiting optimum. Foliar feed all your plants with a super mixed tea – no manure in teas you will use on leaves you will eat! At the same time, for deeper root feeding, use a spade fork to make holes about your plant. Push it into the soil, wiggle back and forth a bit, then pour the rest of that tasty mixed tea down the holes. Replace the mulch and water well at soil level to the dripline. That will feed at root level too and give the soil organisms something to think about! Seeds are your last harvest! Allow your healthiest top producers to seed. Each year keep your best! Scatter some about if they would grow successfully now! Or just scatter them about and when it’s the right time, even next spring, they will come up quite well on their own. Store your keepers in a cool dry place for next year’s better than ever plantings. Remember, these seeds are adapted and localized to you! If you are willing, take your extras to a local Seed Bank! While you are there, pick up some of your fall favorites and some new ones to try out! Hold some for your local Seed Swap! Our Santa Barbara area Seed Swap is in January.See more about SeedSaving! How to Save Tomato Seeds! Some would consider the ultimate ‘soil prep’ to be installing gopher wire protection. Here we are at the turn of the season, a very good time to do the job. Get a team of friends together and go for it! Appoint a watcher to make sure everyone stays hydrated. Bring gloves, wear sturdy shoes or boots. You may not be able to do the whole area at once, but do what you can. You will be so glad you did! You can do it! Cover crop soil restoration! You can plant herbs, Calendula, all sorts of things, but a Green Manure mix including lots of legumes and oats does the best. Legumes collect Nitrogen, the number one element plants need the for their growth! They deposit the N on their roots in little nodules. When you turn under the legumes they not only feed your soil with their leaves, but these little nodules! Beans and Peas are legumes. Alway cut off rather than pull out their roots. Leave those roots there to feed your soil! The oats are what we call a dynamic accumulator! That’s terrific because their roots go deep, loosening the soil, creating channels for oxygen and water and soil critters to navigate. They bring nutrients up from deep below. Also, they produce more growth in late fall/early winter than in spring! Perfect for winter crop plantings! If you have enough area, plant one space entirely with a cover crop. If your area is smaller, each year plant a different section with your cover crop. Some years you can get in two cover crops, especially if you are planting successively for a steady table supply, or if you are doing one area for early planting, saving another for planting bareroots in January. If you are inclined, always be making compost with clean garden waste, kitchen scraps. Decide where you want to compost, leave the space next to it so you can move your compost back and forth. Or you can move your composter around to enrich the soil there. If composting isn’t for you, buy the best in bags you can! In addition to the basics, we want to see worm castings, mycorrhizae fungi, maybe some peat to loosen clay, add water holding capacity. Seeds germinate really well and quicker when worm castings are added to your soil along with the compost. Castings also strengthen your plants’ immune systems! Add 25% for best results. Boost up seed beds and where you will be installing transplants. Put a stake where your planting holes will be so you can pay special attention at those points. Get seeds for celery, chard, mustard greens, parsley, peas, winter radish varieties, and Brassicas: cabbage (especially red and savoy types, which resist frost better), brocs, Brussels sprouts, collards, cauliflower, kale babies, kohlrabi, Mizuna, pak choi, radish, rutabaga, turnips. Sow carrots (they do best from seed). Keep the soil moist and shaded until they’re up, and then gradually allow them more sun over a week’s time. Winter plants that get a good start while there is still some heat, will be producing a lot sooner than plants started while it is cooler, and you will have a much earlier crop, plus time for a successive crop! Be sure to leave space to plant additional rounds to keep steady table supply. If planting from seed is not for you, no time, gone on vacation, of course you can wait and get transplants when the nurseries bring them in. Just know the selection is not as big as buying seeds. Island Seed & Feed has a great seed selection in the Santa Barbara area, and there are marvelous seed companies. Be sure to get seed varieties that are right for your area! Keep harvesting, do your soil preps, and wait for September or October transplanting. Labor Day weekend is a favorite big planting time for many gardeners, and that’s only a month away now! At that time you can plant both seeds and transplants for two rounds at once, the seeds coming in six weeks after the transplants! See wonderful July images of Pilgrim Terrace and Rancheria Community Gardens, Santa Barbara CA! Veggies, flowers, gardening tips and info! California’s 2013 was the driest year on record in 119 years. This beauty is Territorial Seed’s heirloom Pineapple tomato – drought resistant, indeterminate, suited to grafting. Drought won’t stop us from growing tomatoes, but we do need to adjust some of our veggie variety plant choices. Herbs by nature are naturally drought tolerant since most of them are Mediterranean. Veggies are generally not naturally drought tolerant. Most are seasonally advantageous short rooted annuals, not deep rooted perennials. They grow quickly, need water to do that. Period. To produce fruitfully, they need to be able to make generous leaves to support photosynthesis to produce generous fruits and lots of them. Yet there are more heat loving varieties that do thrive in dry areas. Some of us very coastal gardeners will be quite happy for the heat! It will mean we can grow plants we couldn’t before, like melons, pumpkins, large fruited eggplants, okra, that gardeners further inland, in the hot foothills, or south of us have been enjoying all along! There are even drought tolerant varieties of melons like Blacktail Mountain. One drought solution is to grow only super prolific plants for the most return per square foot, especially the drought and heat tolerant varieties! These 5 are a great backbone-of-your-garden veggies! Indeterminate tomatoes produce all summer long from one plant! No need to replant determinates costing periods of time with no production and additional water usage. Of the heirlooms, Pineapple, per Bountiful Gardens is the most cold-hardy and drought resistant large tomato they have seen. Pole beans! Same issue with bush beans as with determinate toms. No need to replant bush beans costing periods of time with no production and additional water usage. Pole beans produce all summer long. Try Rattlesnake bean, aka Preacher Bean. 100-degree heat doesn’t stop them from producing lots of beans. Zucchini Dark Star, produces in only 50 days. It is the result of organic growers working together to grow an open-pollinated heirloom-type zucchini that could outdo the modern hybrids. The result is a zucchini with great performance in cooler soils and marginal conditions, along with a big root system that goes deep to find water and resist drought. Giant Fordhook chard, BountifulGardens.org says it is tolerant of drought and heat in our research garden. Kale! Curly leaf is super productive per its footprint! In our warmer weather Curly leaf kale, a favorite, is more susceptible to aphids, and those little devils are hard to get out of those convoluted leaves. One thing you can do is pick more frequently to keep new growth coming fast. And it will be a must to do frequent routine pest checks; keep flushing them away. But how about a heat tolerant flat leaf kale like Thousand Headed Kale?! It has multiple growth points instead of just one, so it puts out a lot more foliage and tender shoots. Huge plants make lots of food. A must for self-sufficiency. Another super Brassica is perennial Tree Collards! From Africa to Los Angeles, TCs grow 6′ tall average, but up to 11 feet, live 4 to 5 years in continuous production! No lost harvest time because of needing to be replanted. TCs are high in Calcium, and unlike spinach, chard, and beet greens, collard greens don’t contain high amounts of oxalic acid, an anti-nutrient that can deplete your body of important minerals like Iron. Try new plants from arid countries. Maria Arroyo at our Santa Barbara Community Gardens office recommends a traditional local plant, zapatas, Prickly Pear! Both pads and the fruits are edible! The fruits, tunas, are used in brilliantly colored healthy anti inflammatory juices, uh, margaritas, a jelly candy, and jams. The pads, nopales, are used various ways. From Phoenix Arizona, here is Kymm Wills’ easy Nopales Recipe! When & how to harvest those dangerous nopales! Or, check out your local Mexican market. I have been thinking of the Santa Barbara Mission traditional La Huerta corn. The cobs are quite small. That is likely what happens generation after generation when there is little water. Bet the New Mexico/desert varieties have small production as well. In some instances we will need to adjust our expectations about how much yield to expect when we use less water. We may need more land to plant more for the same previous yield. This is time to check out southern university sites in states like Texas, New Mexico, Arizona, maybe Florida, hot states, for their successful heat loving varieties. Please report in to me your location and ones you try that prove successful. Please save those seeds! Our planting techniques need rethinking. One simple garden practice to change is to plant IN furrows and basins/wells, like Zuni waffle gardens, would keep water right and only where it is needed rather than randomly watering an entire area. A more refined furrow technique is to make a deep furrow, flatten the top, about 8 to 10″ wide, and make a mini furrow there on top! With gentle and careful hand watering, your water stays right at the top where seedling roots need it, rather than running off and eroding the sides of the furrow, lost to evaporation. The bottom of your furrow stays dry and you footwear doesn’t get muddy! Later on, as plants get bigger, roots go deeper, you can water in the main furrows. 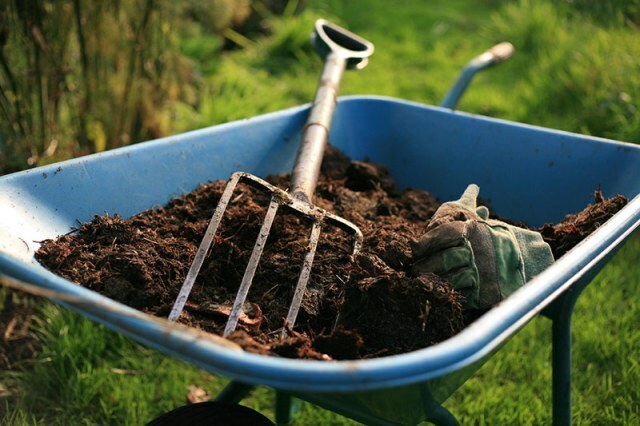 Soil amended with compost, worm castings or Sphagnum peat moss has greater water holding capacity. Grey-water is king. Think how much an apt building would make. Even a 10-minute shower with a low flow shower-head at 2.5 gallons per minute is 25 gallons of water used per shower. Santa Barbara County is #12 in California agriculture production. Broccoli is our #2 crop (strawberries #1), 20% of US production! Most of what is exported goes to Japan, cut in special forms to their taste! Farm production is up to 3B/yr. We could be in a 500 year drought. Farming as we know it will be changing. Wells are drying up. Nutrition is the base cause of noncommunicable diseases, 50+% overweight, 8% diabetes, our life expectancy now declining. Amazingly, we import 95% of our fruits and vegetables. Yes, you read that right. Suggestions – increase local food distribution, grow more at home! Mexico has the highest obesity rate in the world. Europe now has a 50% reduction of meat and dairy use. The Santa Ynez Valley Fruit and Vegetable Rescue gleans a 2nd harvest of unused produce, ie misshapen, too small, from farms, farmers’ markets, for seniors, youth, and others in need. Wonderful story! Which Landscape Plants to Save? TREES! Trees are long term plants, and they make shade. Shade means cooler, less evaporation, and though trees use water, they also preserve water. Here are some more details at SB County Agriculture & Weights & Measures Newlsetter. See Page 4, Our Oaks are Thirsty by Heather Scheck. Stay strong in these challenging times. Enjoy the changes. To your good health and happiness!